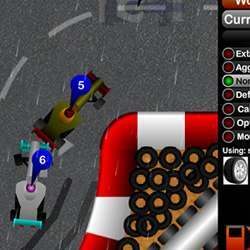 Race cars, trucks, tanks, planes, and boats in either individual races or in championship mode. 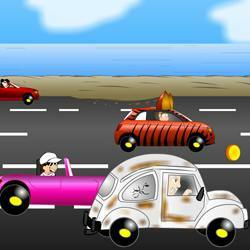 Beat your competitors by racing away from them or by destroying them with mines or missiles. You can also play against up to two of your friends in multiplayer mode. 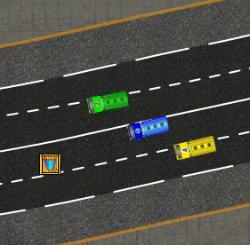 1 Player: ARROW keys to drive and ENTER to shoot. 2 Player: WASD keys to drive and E to shoot. 3 Player: OKLM keys to drive and I to shoot. In one player mode, you can also use the 2 player keys or SPACE BAR to shoot. 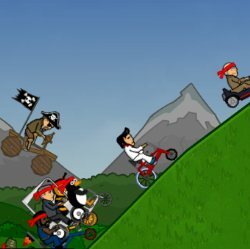 Click here to send Burst Racer 2 to your friends using your default email program.